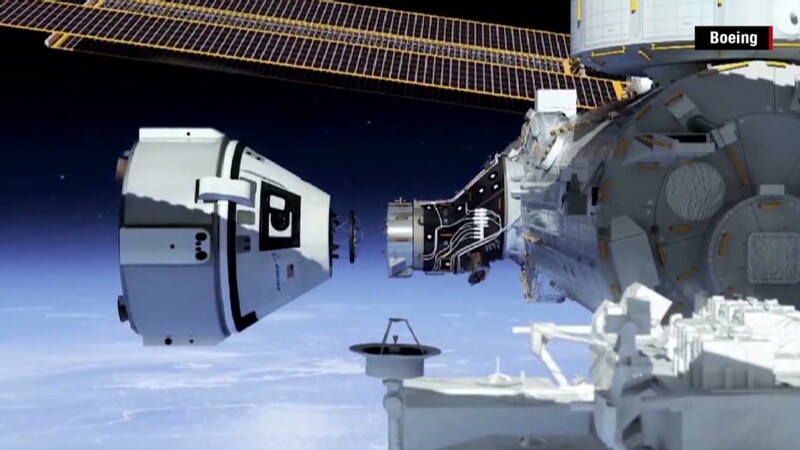 Boeing and SpaceX have been awarded contracts to become NASA's space taxis, shuttling astronauts to and from the International Space Station, the agency announced Tuesday. NASA ended its Space Shuttle program in 2011 after a review and amid a shift in priorities to exploring deep space, including sending humans to Mars. The contracts are worth a total of $6.8 billion. 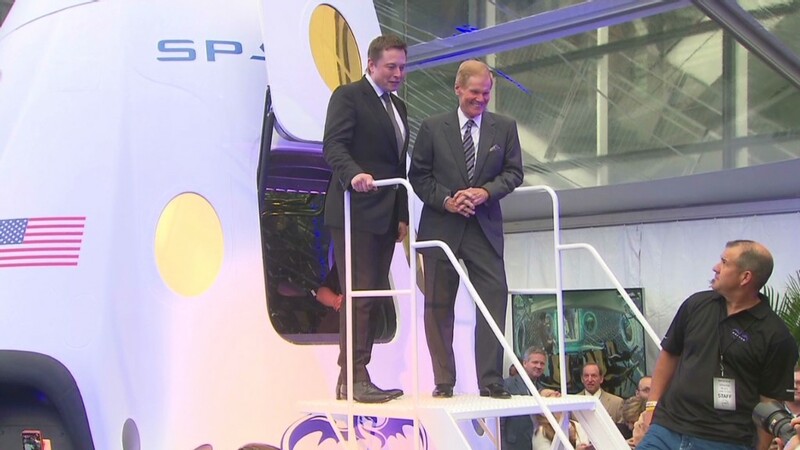 Boeing's share is $4.2 billion and SpaceX will receive $2.6 billion. Both companies' crafts must undergo safety testing before manned flights take place. Once certified for flight, each company will launch between two and six missions, NASA said. Boeing (BA) said the contract means it will build three of its CST-100 crafts at its Kennedy Space Center facility in Florida. Each craft can carry up to seven passengers. SpaceX CEO Elon Musk said in a statement he is "deeply honored" his company was chosen. Musk also runs electric car company Tesla (TSLA). NASA's partnership with the companies is part of the Commercial Crew Program. The program is intended to help private companies develop spacecraft to carry astronauts into low Earth orbit by 2017. The agency has invested more than $1.4 billion in contracts and special agreements with private companies for the two phase program. The goal, according to NASA's website, is "to establish safe, reliable and cost-effective access to space." Once the new transportation system is up and running, NASA says it will use private spacecraft to "meet its space station crew rotation and emergency return obligations." Boeing has already received more than $100 million in NASA funding. Meanwhile, the SpaceX Dragon became the first commercial spacecraft to deliver cargo to the space station in 2012. The Dragon currently only carries cargo, but SpaceX says it will be able to transport humans as well. Sierra Nevada Corp., an aerospace company based in Nevada that was also competing for the NASA contract and which has benefitted from Commercial Crew Program money, is working on the Dream Chaser, a winged spacecraft designed to fly into orbit. --CNN's Rachel Crane contributed to this story.